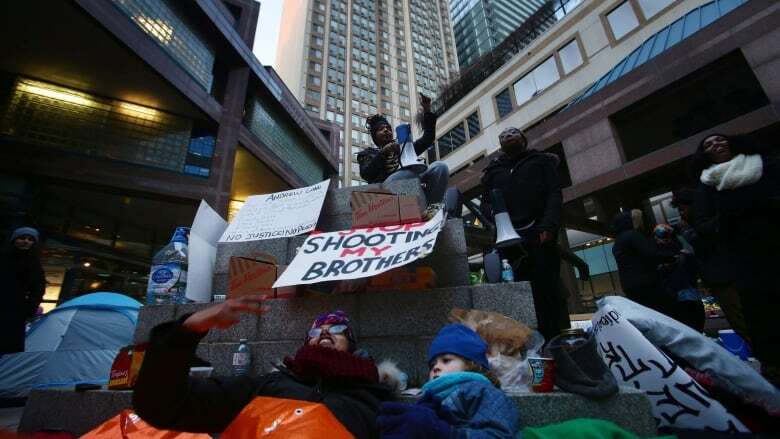 Toronto police monitored Black Lives Matter activists and their supporters, combing through social media and compiling intelligence email reports on the activist group as it camped outside police headquarters in 2016, according to documents obtained by CBC Toronto. The documents, released by the Toronto Police Service (TPS) in response to a freedom of information request, show officers in the police service's intelligence branch monitored the group's demonstrations, public comments and planned events. 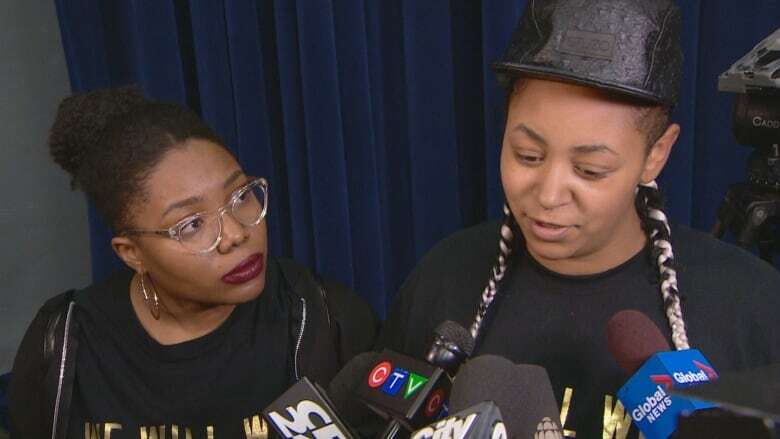 "Black activists, particularly, are targeted and surveilled," said Black Lives Matter Toronto co-founder Pascale Diverlus. "We know that this happens. The targeting and surveillance of our communities is not new." Black Lives Matter began an encampment outside police headquarters after a demonstration on March 20, 2016. 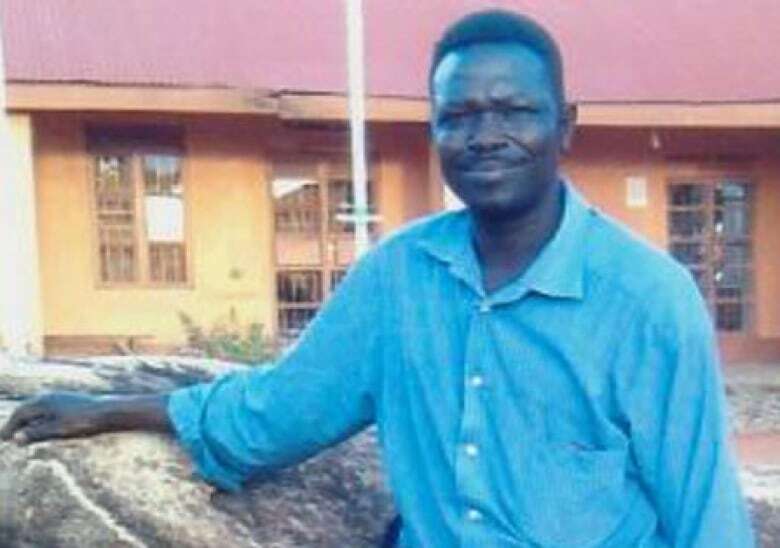 The demonstration was sparked in part by the Special Investigations Unit's decision to clear a Toronto police officer of wrongdoing in the fatal 2015 shooting of Andrew Loku. The documents obtained by CBC Toronto cover roughly the first seven days of the encampment, which started outside city hall before moving to police headquarters, and lasted for about two weeks. On March 20, a detective with the Intelligence Services division emailed several colleagues, sharing information on the initial demonstration taken from Facebook. The detective included information on previous Black Lives Matter events, including a 2015 demonstration that blocked traffic on a busy stretch of Toronto road. In another email, the detective said "a request for attendees to bring pots, pans, and wooden spoons to use In (sic) a 'mini arts festival in honour of Afrofest' ... could pose security and safety concerns." Some records suggest a police interest in the public's response to Black Lives Matter's actions. "Accusations of police violence have gone viral on social media," Det. Scott Whittemore wrote to colleagues early on March 22, after police grabbed and shoved protesters who were blocking first responders from dousing the group's fire. After reviewing a Facebook post in which Black Lives Matter claimed police were "threatening peaceful protesters," Whittemore told colleagues police were "monitoring on going (sic) social media broadcasts." Whittemore added that a tweet from Black Lives Matter Toronto would likely attract more people to police headquarters. On March 26, a TPS intelligence analyst told colleagues that the social media response to a Black Lives Matter event was mostly "positive." The analyst noted that attendees including members of Andrew Loku's family, "known activists," and "multiple ethnic/religious/cultural groups … Jewish, Palestinian, Asian, Sikh, Muslim." Rob De Luca of the Canadian Civil Liberties Association said surveillance of social media can have a "chilling effect" on protesters who learn police could be gathering their information. The monitoring can also send the message to protesters to avoid social media platforms. "There's a deterrent effect ... on expressing yourself in certain ways," he said. 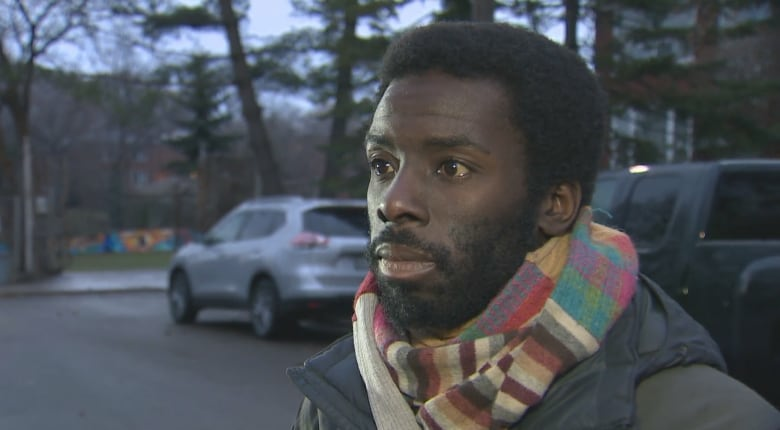 Toronto police did not agree to an on-camera interview for this story, and refused to directly answer written questions from CBC Toronto, including whether police received information on Black Lives Matter from undercover officers or confidential human sources. A spokesperson provided a statement by email. "Intelligence Services does research and analysis on all types of events across the city," wrote police spokesperson Meaghan Gray. "All of the information gathered for this event specifically, was compiled from publicly available sources." Disclosing intelligence methods, Gray said, "would compromise our abilities to maintain public safety." CBC Toronto obtained the police records through the Municipal Freedom of Information and Protection of Privacy Act. The police service censored portions of the documents by repeatedly citing a provision of the law that allows an institution to withhold information that could "reveal investigative techniques and procedures currently in use or likely to be used in law enforcement." Police also monitored the writing, commentary, and social media posts of Desmond Cole, a prominent black activist and journalist. "Desmond Cole is on 1010 radio right now talking about Police shootings," Whittemore wrote to his colleagues on March 20. "Nothing new about his tone or rhetoric." Whittemore declined to comment for this story, and Gray would not explain why Cole's tone and rhetoric were of interest to police. Some officers are described as "retired" in the email recipient lists. Gray said a staff member's name may remain in an internal system after that person has left the service. Gray said retired staff members cannot access emails. Supt. Bill Neadles, who oversees the police force's public order unit, said the information obtained by CBC Toronto was similar to information the TPS gathers on demonstrations of all sizes and political stripes. "There's always that potential that something may arise that may require … an enhanced response from the Toronto police," Neadles said. For Cole, the documents show that the police are more concerned about their public image than fixing officers' "awful conduct," and are worried about activists drawing unwanted attention to police behaviour. "The police engage in acts of violence, and when we show that they're doing that, they turn their focus on us," Cole said. "It's absolutely not going to stop anything that I do, but maybe the public needs to ask the police some questions about how they're spending our money."